This luxurious black velvet bow tie for children is perfect for black tie and formal events, including weddings. 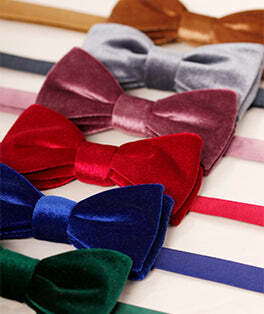 Essential for a look of class and sophistication, this bow tie is instantly stylish. Available for ages 0-10 years.